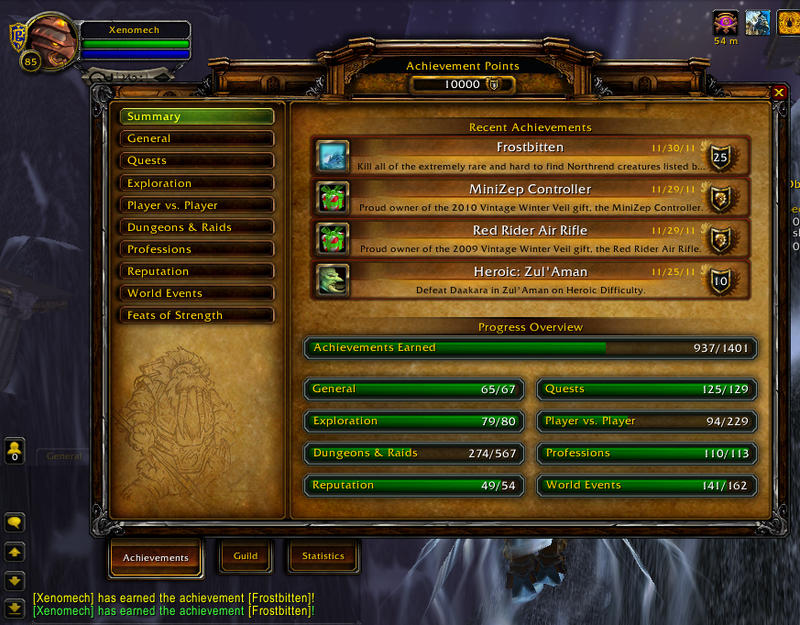 I have reached a great milestone in the Achievement Point system in World of Warcraft: 10,000 achievement points! And the real kicker is that the achievement that put me over the top was Frostbitten, which involves hunting down all rare monsters from the Wrath of the Lich King expansion to World of Warcraft. And I reached exactly 10,000 points — not one point over! This entry was posted in All Things Don, Games, Video Games, World of Warcraft and tagged Achievement Points, World of Warcraft, wow, Xenomech. Bookmark the permalink.